We just put in a new clutch and completed a complete maintenance service and repair. We also did a Pennsylvania safety and emissions inspection so this Matrix is ready more many more trouble free miles. 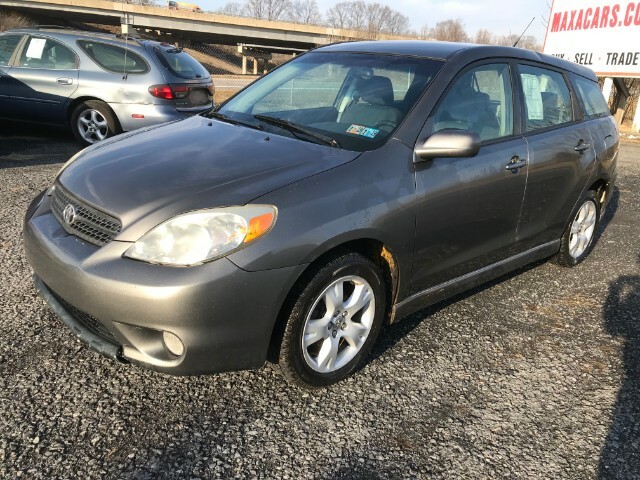 This Matrix boasts the craftsmanship that you expect from Toyota.The interior is much roomier than you would think you'd get from a car that is built on Corolla specs. With the seats folded down you can easily fit lots of stuff inside. The vehicle gets very good gas mileage. The instrumentation is very well organized and the red lighting is sharp against the black. The interior re-configures very easily; the passenger seat even folds to a table top. Call 610-683-0480 for more information.